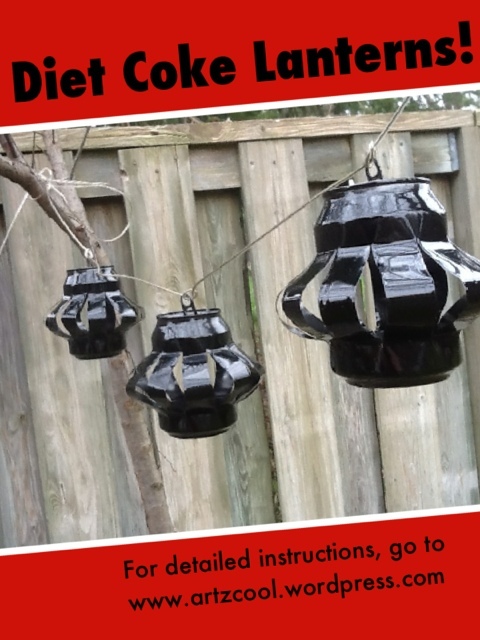 Diet coke lanterns | ARTZCOOL'S BLOG! These are easy to make! I have to say that when I saw this idea online, I thought it might take a little time, but seriously, it took about 5 minutes! As soon as I finish a pop now, I am going to whip one of these babies up! I want to make enough to go all the away around our gazebo! 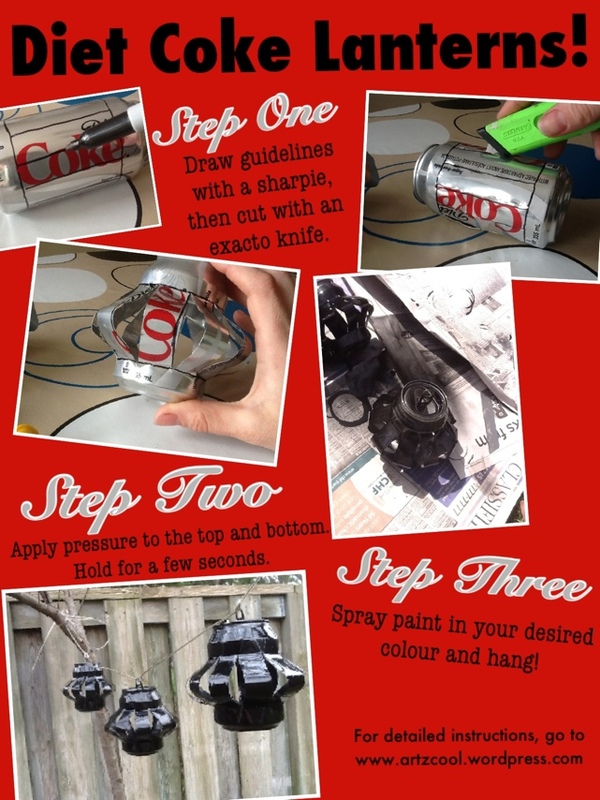 All you need is a couple aluminum cans, an exacto knife, a sharpie, and if you want to paint them, spray paint. 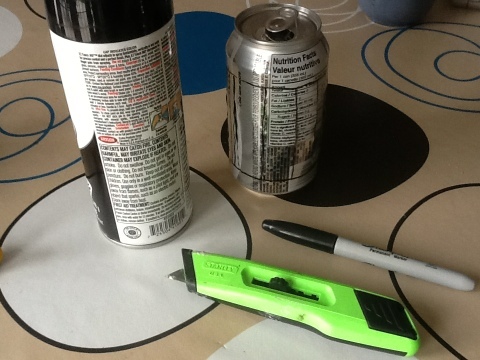 So, if you are a measuring type of person, you can measure, but I just drew using the patterns and text on the can as a guide. 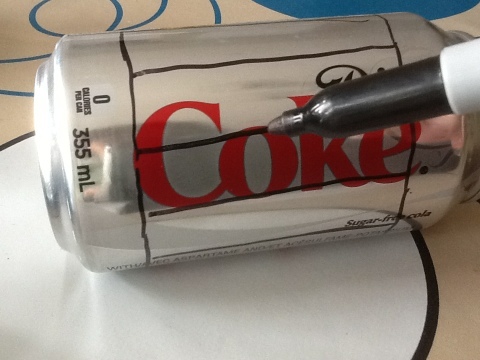 I drew two bands around the can about a centimeter away from the ridge at the top and bottom. Then I drew vertical lines where I would be making the cuts. 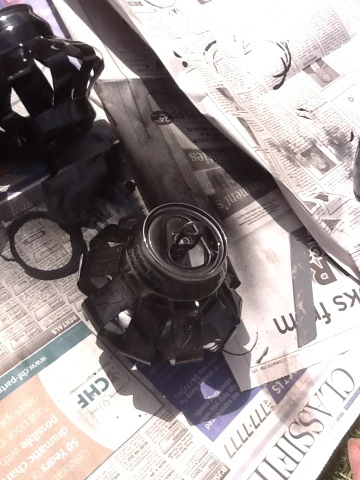 Then, I cut along the vertical lines, trying to start and stop and my guidelines. 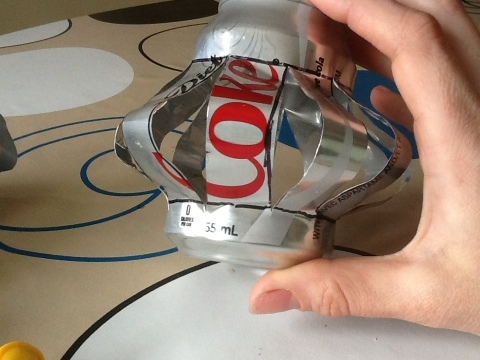 Pop cans are surprisingly easy to cut! 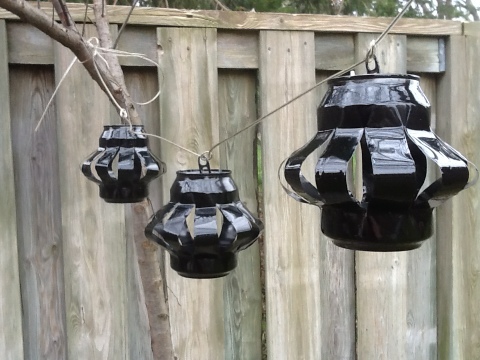 Then, I took mine outside to spray paint black, but I think these would look great left as is, or painted bright colours, or even in metallics! Then I walked around the backyard and found a good place to hang them. The gaps are big enough to pop a tea light in each one, but I am going to wait until I have a few more, and make a string of lights using some outdoor christmas lights! By the way, these are not at all kid friendly to make or use. 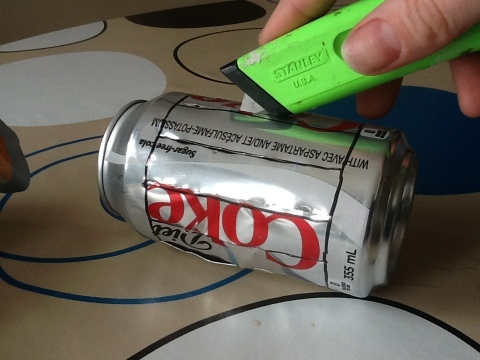 The edges are very sharp, so be careful. Hang them up high so the kids can’t play with them!